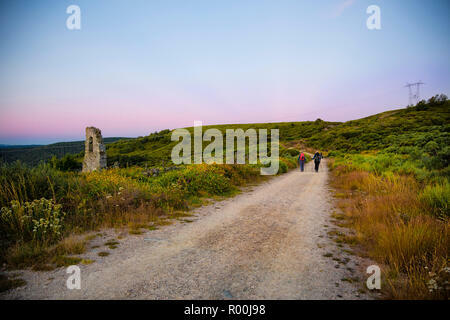 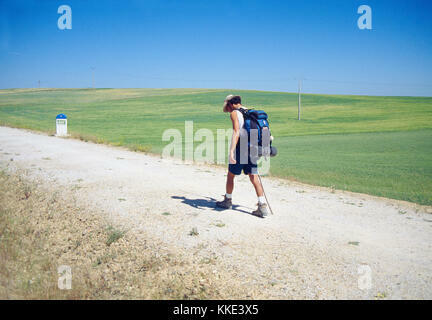 Pilgrim walking along Camino de Santiago. 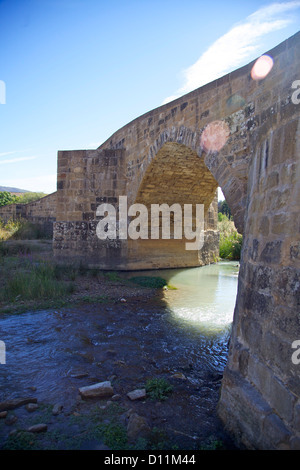 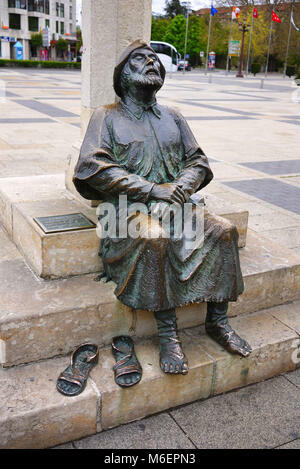 Palencia province, Castilla Leon, Spain. 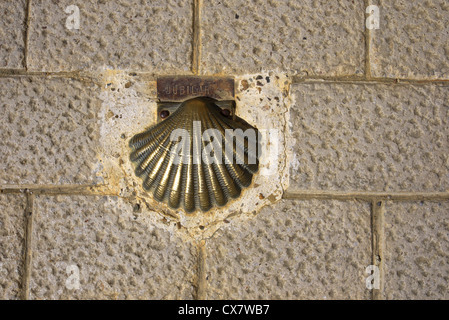 A brass scallop shell along the route of the camino to Santiago de Compostela, Spain. 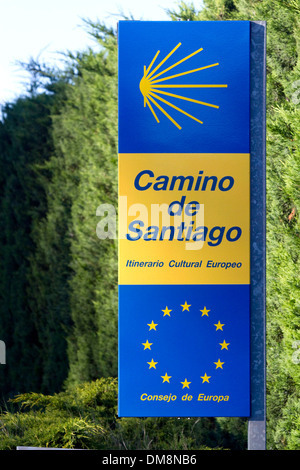 Marker along the Camino De Santiago, the Way of St. James pilgrimage route, Navarra, Spain. 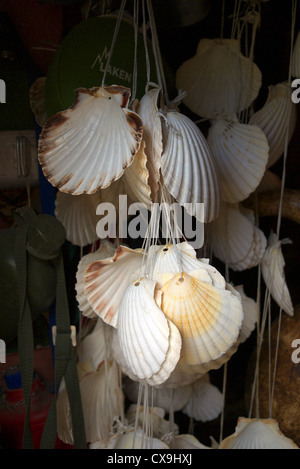 Scallop shells on sale along the Camino de Santiago route in Spain. 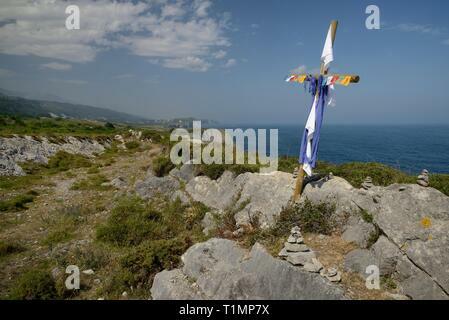 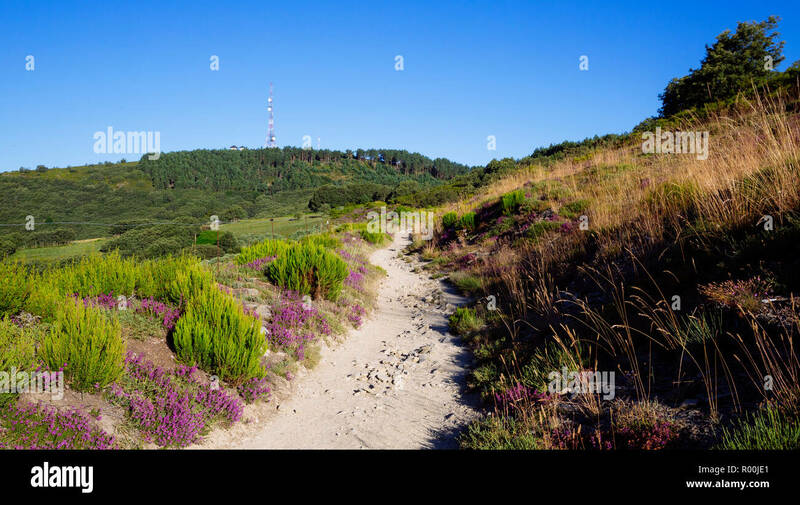 Camino de Santiago coastal route, marked with piles of stones and a cross left by pilgrims, along the cliff edge, near Buelna, Asturias, Spain. 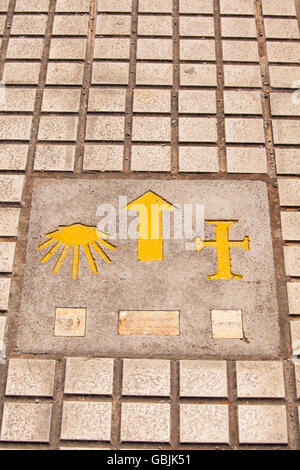 Monumento al peregrino or peregrino or pilgrim monument along the camino de Santiago de Compostela in Leon, Spain. 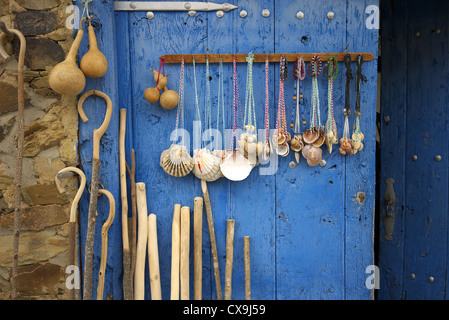 Scallop shells, walking sticks and camino souvenirs on sale along the camino in Spain. 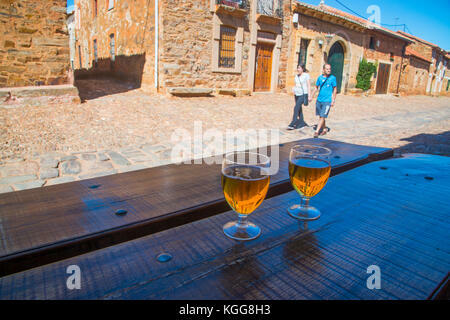 Two glasses of beer in a terrace and young couple walking along the street. 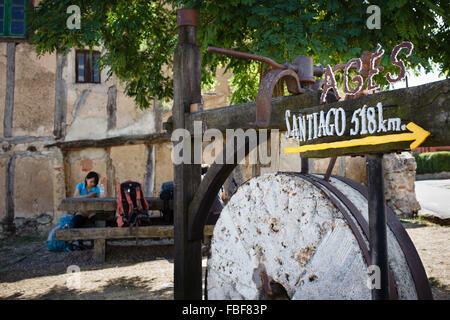 Castrillo de los Polvazares, Leon province, Castilla Leon, Spain.